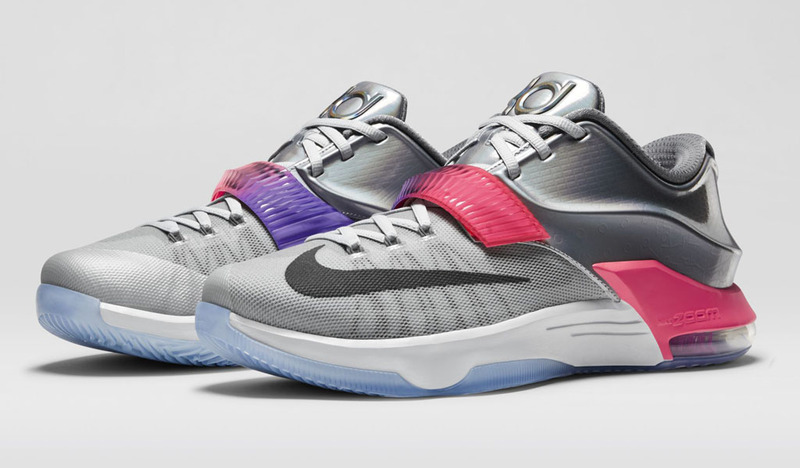 A detailed look at Kevin Durant's All-Star shoe for New York City. 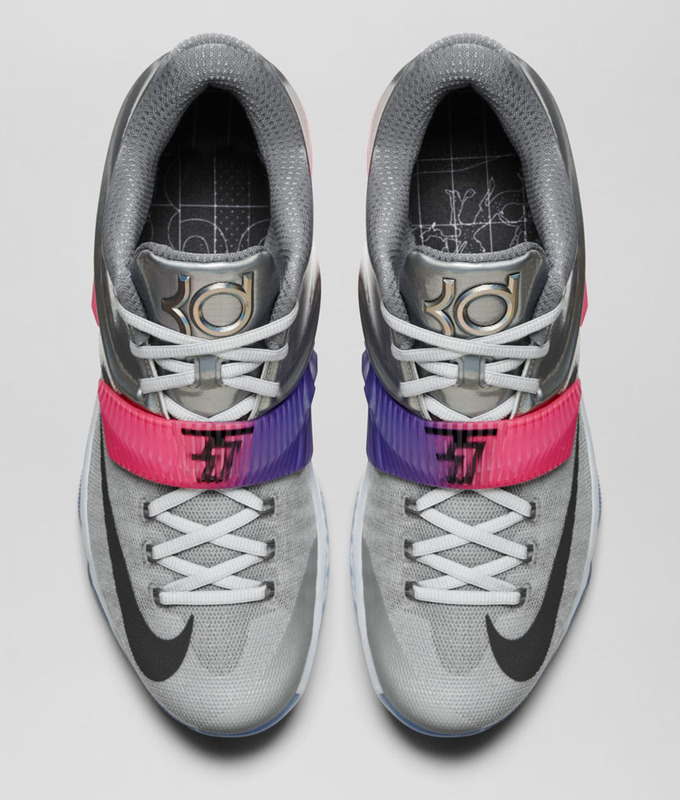 He's on the outside looking in of the most recent NBA All-Star voting returns, but Kevin Durant will likely make the cut for the sixth time in his career when the All-Star Game tips off in New York City next month. 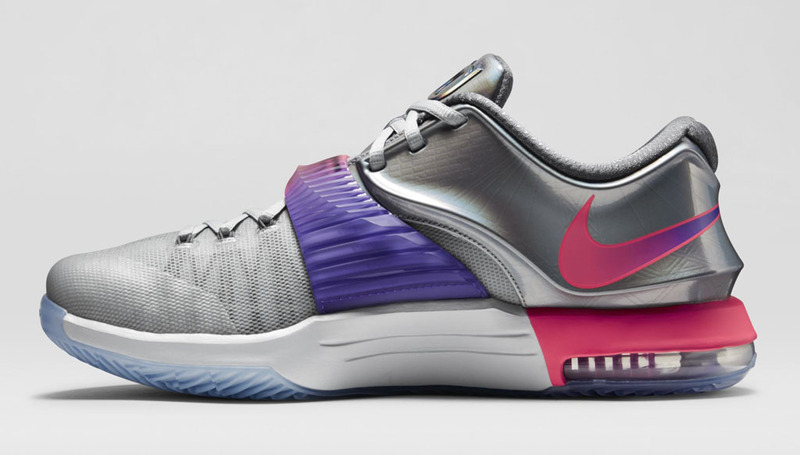 If Durant does take the court in the Mecca, he'll probably do so in the 'All-Star' Nike KD 7, officially pictured here. 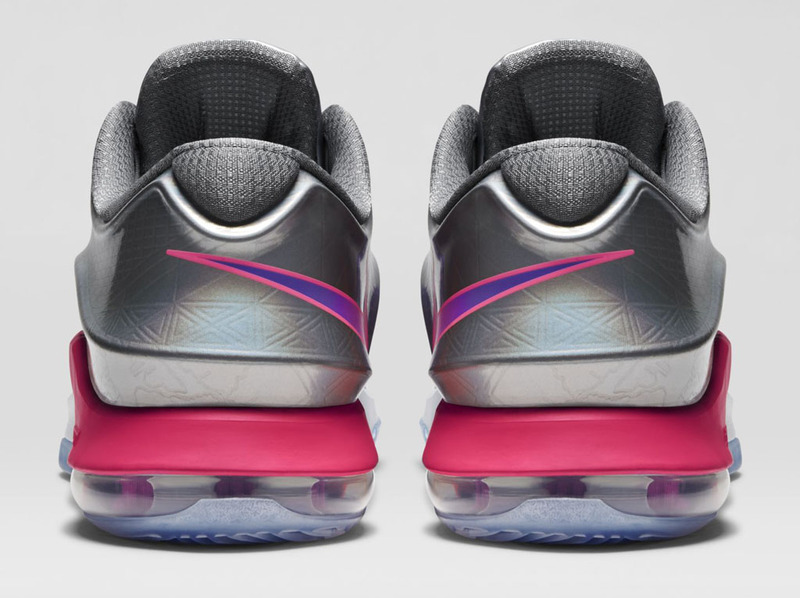 The platinum-based kicks feature an iridescent gloss on the Hyperposite overlay, along with a pink-to-purple gradient effect on the cross-strap and medial Swoosh. 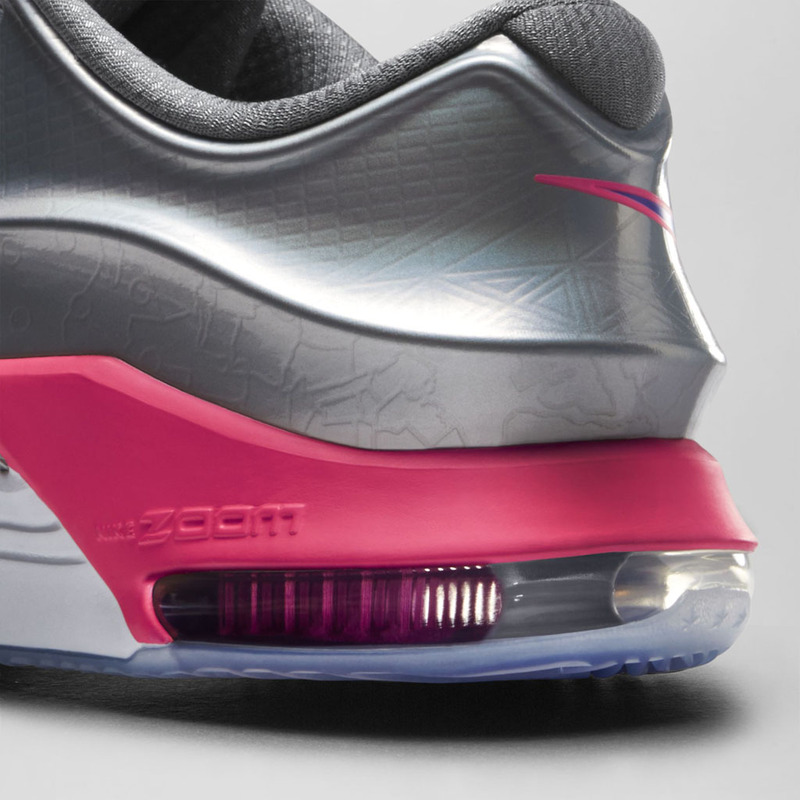 The reflective forefoot Swoosh will illuminate during pre-game intros and an icy sole brings closure to the concept. 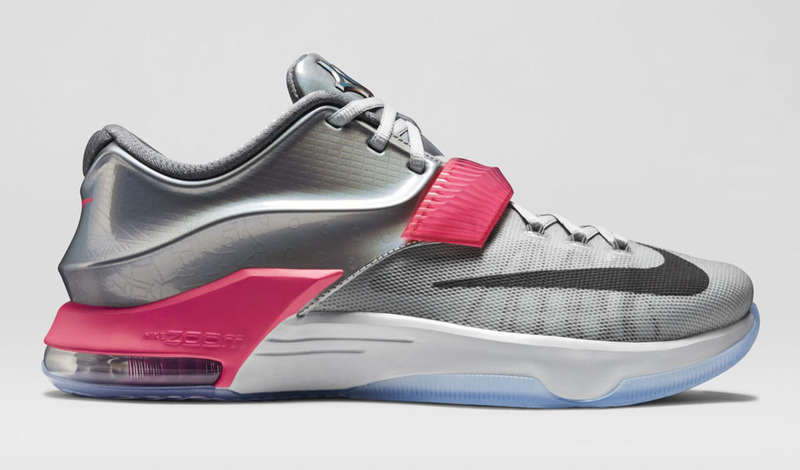 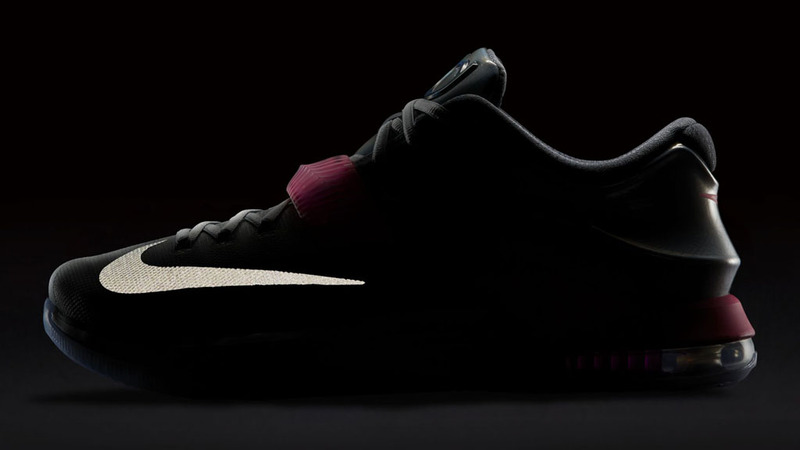 More will be unveiled about the KD 7 and Nike Basketball's All-Star Collection in the coming weeks, but expect this shoe to release on Friday, Feb. 13 for $170.